Wow! We had a great turn out for the dinner and auction! We just can’t thank everyone enough for the tremendous show of support! We had the best volunteers! We could not have pulled the event off without you! A big thanks to our entertainers & auctioneers too! 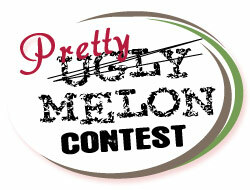 UGLY MELON CONTEST – WINNER: STEVEN !! Watch for the Wee Bites table! 100% of our profits go towards Mazie! Stop by and get some tasty mini cupcakes, mini cheesecakes, tiny cookies, and don’t miss our cake on a stick!! Country Christmas in downtown Powell for Wee Bites! Watch for the Wee Bites booth! 100% of our profits go towards Mazie! Mix and match our minis as a treat for yourself or a sweet gift for someone else! Hit a few out of the park for Mazie! The event will be held at the Park County Fairgrounds the evening of Saturday, September 18th in Powell, WY. Thank you to the Coyote Grill and Smokehouse! Thank you to everyone who contributed over the tourney! Powell won state too! Way to go! www.powellbaberuth.com Watch the Babe Ruth site for updates on the Regional tournament in Oregon! Go Powell! Wow – what a great response at the fair! I just can not express our gratitude towards all the kind, generous people we talked to at the beer garden and in the grandstands during the demo derby. Thank you to all of the volunteers that helped make it happen!! There are so many people who made this happen. We are SO grateful to you all. Thank you.